*WARNING* THERE ARE DANGERS NOT LISTED BELOW — CONDITIONS CHANGE DAY TO DAY EVERY PILOT IS RESPONSIBLE FOR HIS OR HER OWN SAFETY. 1. Deceptively dangerous Kagel Saddle Launch. Reduced ground clearance at hang glider wing tips. Shallow slope launch. Rotor in cross winds. Don't use this launch when wind is gusty, light, or cross. 2. Two sets of power lines between mountain and LZ, one at Gavina Avenue bridge and one 100 yards beyond. Very difficult to see, especially in late afternoon. 3. Rotor behind the front ridge. Always maintain at least a 1:1 glide to the ridge top when you are following thermals up behind the ridge. 4. Rotor from Trash Mountain. The mountain in front and to the left of launch is called "Trash." When the wind is crossing from the east, don't fly east of a line that goes straight out from the launch ramp. It is exceedingly turbulent and dangerous. 5. Wind gradient on the front ridge. If you get in close to the ridge, you'll have stronger lift on the outside wing, which will tend to pitch you into the rocks. Close to the ridge, always be banking away. 6. Venturi through the pass over the dam. Don't get low behind the dam. Unless you are above the elevation of launch (3,540 MSL), don't fly behind the dam. 7. Strong lift. On almost any day, Kagel can produce thermals that can overpower even the best pilots. Give yourself enough clearance from the terrain. 8. Restricted airspace. May Canyon is a helicopter corridor for the Los Angeles Fire Department helicopter operations at Camp 9 Station. May Canyon is the big canyon west of Contract Point (which we call "Locals") and Towers Peak. You can fly directly through it if it is clear of helicopters, but you may not thermal or soar there. Also, in the summer the Camp 9 helicopters use the highest mountain to the west of May Canyon, which we call "The 2200" for lift. If you see or hear a helicopter powering up on the pad, get away from this ridge. 9. Air Traffic. Southwest Airlines 737's frequently come uncomfortably close to the mountains west of May Canyon. Air traffic is especially heavy on Fridays. Light planes piloted with widely varying degrees of skill use Whiteman Airport, a few miles away to the southeast. These planes frequently fly through the canyon over Pacoima Dam BELOW THE LEVEL OF LAUNCH. Always check for air traffic before entering Pacoima Canyon. 10. Clouds obscure visibility and create the hazard of collision with other aircraft. Stay away from the clouds. 12. Thermals in the LZ. Mid-day thermals in the LZ are common. Watch the wind indicators. If they don't all show the same wind direction, there is likely thermal activity in the LZ. If possible, wait a few minutes before landing. If you must land, pull on the speed to power through any thermals. 13. Occasional 90-degree crosswinds in LZ. Usually from the east. When the wind is east in the LZ, unpleasant turbulence comes from the high riverbank on the east side of the wash.
For many reasons, landing at any one of these LZs is more dangerous than returning home at a comfortable altitude to the SHGA flight park. In addition to being unfamiliar, most are relatively small, surrounded by obstacles, and require cross-wind landings. For those who choose a flying style that involves a perceptible risk of landing out, it is valuable to walk these LZs and understand their complexities from the ground. Open land near Sylmar is in high demand and and is likely to be put to use, so it is best to visit these areas regularly. In short: stupid hurts. The following are listed from west to east. Suggestions and updates are welcome(). A field just east of Olive View Hospital, irregularly covered with bushes, and with concrete debris in the eastern half. The hospital's parking lot on the west side of the field has been expanded in recent years and is filled with lamp posts. A road has also been built through the middle of the field and is lined with boulders. While this has traditionally been a popular emergency LZ, there is little to recommend it today. Landing here is discouraged since the landowner has objected to hang gliders in the past. This is an east-west strip of dirt used for flood control and construction staging. There are wires on both sides, and one must land to the east given the slope of the land. Currently it is most common to land near the east end. It is also possible to land on several of the higher terraces, though the hike out is long. The terrain is extremely irregular, so walk this area carefully before using it. Retrieval is on Almetz Street, at the intersection with Leedy Ave.
Large dirt area in the Pacoima wash, between the Forest Service residences near the dam and the Gavina Street bridge. A large dirt hill was built on the north half of this area in 2005, but there is a narrow flat area west of this new hill, and the south area is still clear. Watch for powerlines on the north and east sides. A left-hand approach puts one close to the mountainside on the west, and a right-hand approach is over power lines. Either can be used, and the best choice depends on conditions and pilot preference. If necessary, one can also land on the Gavina Avenue bridge if traffic permits, uphill to the east, or in the brush on the north side of the road. The general location is the subdivision east of Trash, just north of the Glen Haven Memorial park on Kagel Canyon Road. The familiar large empty lot is NO LONGER AVAILABLE, for several new fences were installed in April of 2018. There are other fields in the area, none as good, and a consensus has not yet emerged on the next best. Landing somewhere near here is appealing if returning low from "Lance's Ridge", properly called Limekiln Peak, but one must not return so low as to interfere with the rifle ranges. This small dirt clearing often has beehive boxes in it. Because the terrain slopes steeply upwards to the northwest, one must land uphill, typically down-wind. It is subject to rotor from the hills just south of it, but this LZ is fairly forgiving if one lands long or short. Retrieve is via a dirt road on the west side of Little Tujunga Road, opposite the entrance to Padilla Ranch. 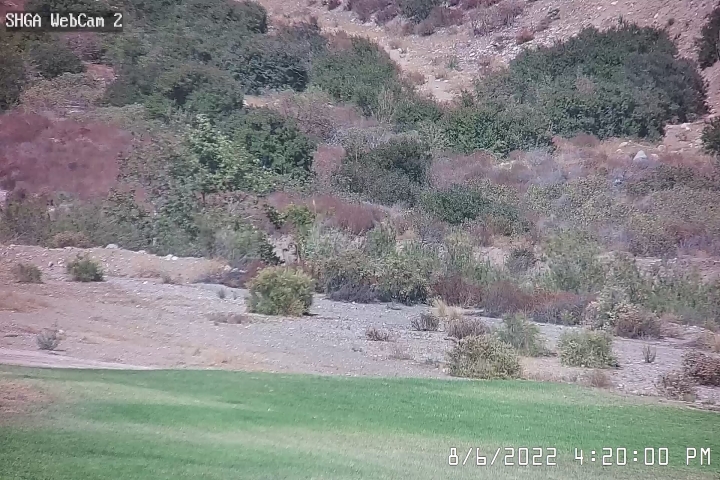 This is a modest-sized field perched above the Little Tujunga Wash on the east side. It is usually covered with tall grass, sometimes with beehives along the north side, and possibly with cattle. There are big scary powerlines just west of the field, even with the field's ground level. Because the field slopes up to the northeast, the suggested landing direction is uphill to the east, typically cross-wind. Retrieve is on Little Tujunga Road, after a somewhat difficult hike out. The Big Tujunga wash area is huge, but much of it is rough. The most commonly used area is across the street from the baseball diamonds, on a long narrow runway marked by a large isolated tree at each end. Wind direction is usually up the wash. The alternate location, where Oro Vista Ave diverges from Big Tujunga Canyon Road and crosses the wash, has recently attracted some advocates. Retrieve is via Oro Vista Ave. in Sunland. The Dunsmore Sediment Placement Site (SPS) is adjacent to Deukmejian Park at the foot of Mount Lukens in La Crescenta. The top of the man-made mountain of sediment is a tempting LZ for those with impeccable spot landing skills, but over-shooting in any direction spells disaster. The ravine just west of it is only slightly more forgiving, and landing must be to the northeast, uphill and downwind. Retrieve is via the Deukmejian park entrance road, after a little cleverness to escape from the surrounding chain-link fence. At the intersection of the Angeles Crest Highway and Starlight Crest Drive (the entrance road to the golf course) is a fairway that runs uphill to the southwest. Other fairways may work better for higher performance gliders. One is duty-bound, of course, to buy drinks for any golfers whose games are interrupted! The old East Parking Lot at the Jet Propulsion Laboratory was removed in 2016, and is now a large flat dirt field. There is a dirt path across the middle, lined with bushes, and one MUST land south of this. There is a set of power lines high above the path, and a web of wires over the north half of the lot. One can also land somewhere in the Arroyo Seco instead, but there are many nearly invisible power lines in the area. The Eaton Canyon debris basin, just south of New York Drive in Pasadena, is huge, open, and reasonably level. There are large power lines on the east side, but they are quite visible from the air. Retrieve is on New York Drive, from the Sierra Madre exit of the 210 freeway.